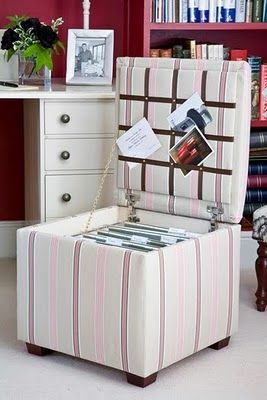 From kitchen chairs to living room storage cubes and ottomans, you can use sneaky seating in which you can store books, toys or other items. If some of the chairs become too heavy, place them strategically so that there’s no need to move them. 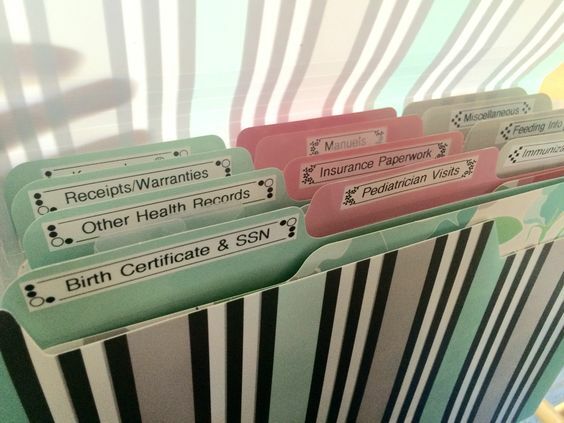 If you have too many paper documents, you can store them in folders and binders. You can also get media storage folders for your CD, DVD or video game collection. Get one folder for each type of media and don’t forget about the labels! If you have a lot of pots and pans and not enough drawers, you can always get ceiling-mounted racks and wall-mounted racks. 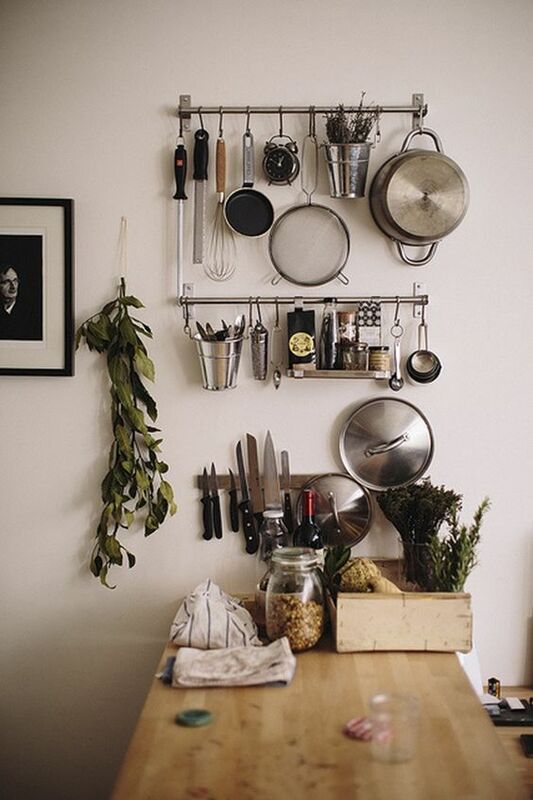 You can also get wall racks for spices and magnetic wall strips for small metal canisters. By doing so you can create upper levels in your kitchen cabinets and fit twice as many cups, glasses or other items. 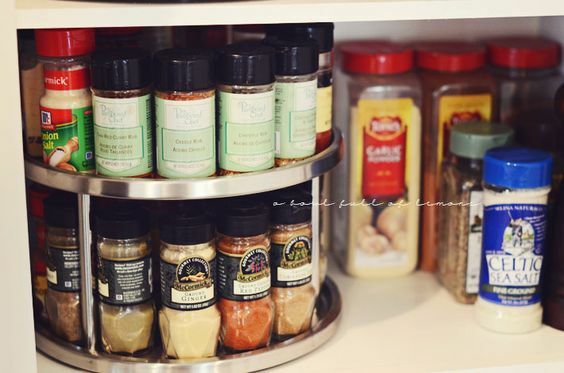 You can also load two levels of spices on a double-decker Lazy Susan. If you don’t have a large family, but occasionally have large groups of friends visiting you, you can get tables with expandable leaves that allow for additional seating. If you are not looking to buy a new table, you can replace several chairs with a bench that typically fits more people than individual chairs do. Fifty or so years ago a family could raise five or six children in a three bedroom apartment. They were able to do it by setting up bunk beds, creating loft beds or using Murphy beds, which hides inside of a closet when not in use. 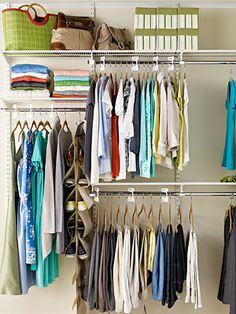 Use rods and hangers in the closets. If you have a small closet, there are many things you can do to make it larger. You can use the rod to suspend a lower clothing rod from it. You can also mount specialty hangers for shoes, belts and ties on the walls and doors. Finally, you can use pant and skirt hangers to hang up multiple pants from one hanger. Hang bathroom items on special hangers on the walls and the door. In a small bathroom with very little counter space you can always utilize the walls and the door and wall-mount your hair dryer and irons. You can also get a few fall-mounted racks for your toiletries and even use your shower head to attach a rack with a hook to it. Use the space under your bed for storage. 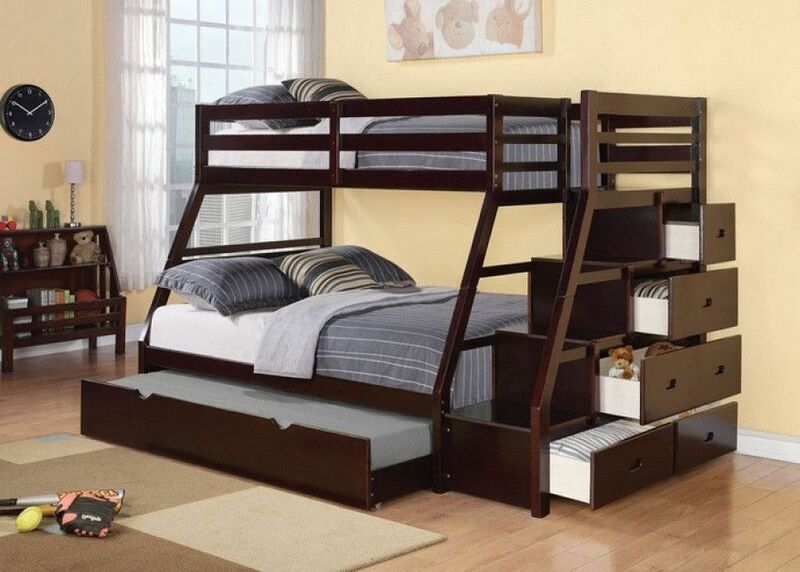 Use bed risers to add extra height to your bed and then use boxes to store items under your bed. You can add tens of square feet of storage to your home by doing so. Ceiling racks are great for storing your vacation sports gear, winter gear and clothing in the summer and paperwork.